I had big expectations and were not let down. First of all I have not read the books, so my review is only based on the movie as a movie, and as such it is rather good. Well the plot is quite simple and straight forward - girl sets enrolled in tournament, a bit minor training, tournament begins and the hero is victorious (sorry for the spoiler, but I thought that the fact that there are several books and movies were a rather obvious giveaway). The build up for the tournament is a bit too long for my taste, but maybe that is because I prefer action to drama in these kind of movies. 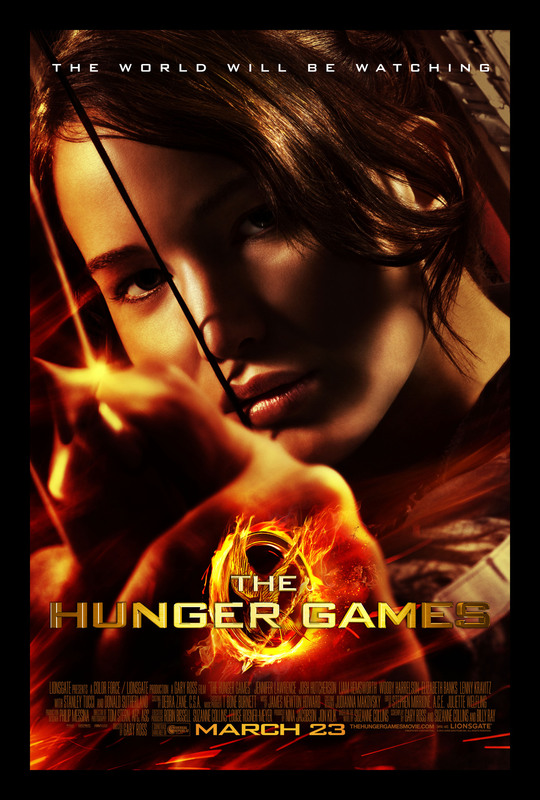 Katniss’ reluctance towards ...well everything at the beginning is just a little bit too stretched out, I think. Maybe this was not translated so good from the books to the movie, but as a movie my interest dies out a bit and for me this has reduced my rating by one. There is a lot of rumors surrounding Jennifer Lawrence, who is playing Katniss Everdeen, and if half of them are true, she is a hero in my book. I am looking forward to seeing her in other movies and also the next Hunger Games installment. Woody Harrelson is a big idol of mine, and despite his role being rather small here, I still enjoyed his performance. Especially in the first part of the movie. The fact that Katniss has Lenny Kravitz as stylist is very entertaining. He does an acceptable job as an actor, so I guess he can do more than play that guitar of his. I find the universe a bit strange, but maybe this is because it might not be too far away from where our own development is heading. However the whole Hunger Games tournament, where children are forced to fight each other to the death with primitive medieval weapons, is a very questionable setup. But it is fiction and the end result is an interesting tournament, however I think I would have prefered a higher age limitation. I mean where is the sport in slaying a 10-year-old with a long sword when you are 18? If you have read the books I am pretty sure you should see the movie as well. It is a good movie and worth watching if you like low-tech sci-fi or tournament with fights to the death. I think the targeted audience for this movie is young people, and I might have been a bit too old for it.